This rigid, stainless steel, between pack thermometer k-type probe is strong and versatile and has been designed specifically to measure between packets or boxes of produce. 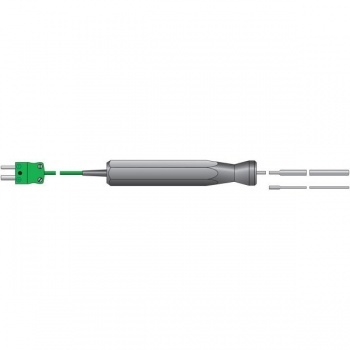 The Between Pack thermometer probe has a diameter of 4.5mm and a length of 130mm. Response time is less than three seconds.